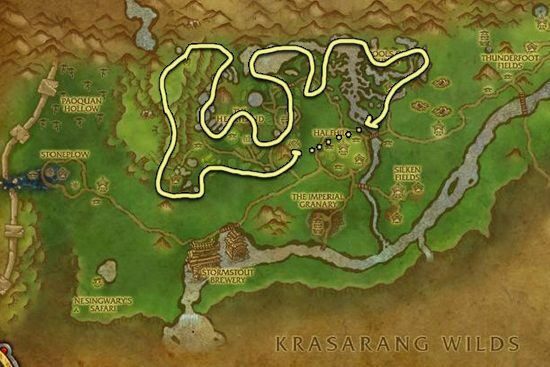 This Pandaria Mining leveling guide will show you the fastest way how to level your Pandaria Mining profession up from 1 to 75. 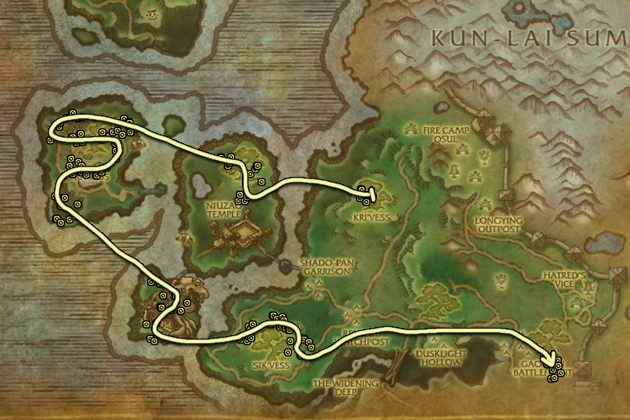 Go to Pandaria and find Rockseeker Guo (Alliance) at Paw'don Village, or Stonebreaker Ruian (Horde) at Honeydew Village in The Jade Forest, then learn Pandaria mining. You can actually level to 75 by Mining only Ghost Iron, but you will gain skill points a lot less frequently after around 55, so I recommend switching to mining Kyparite Ore which is a higher level ore and you will get skill point every time. 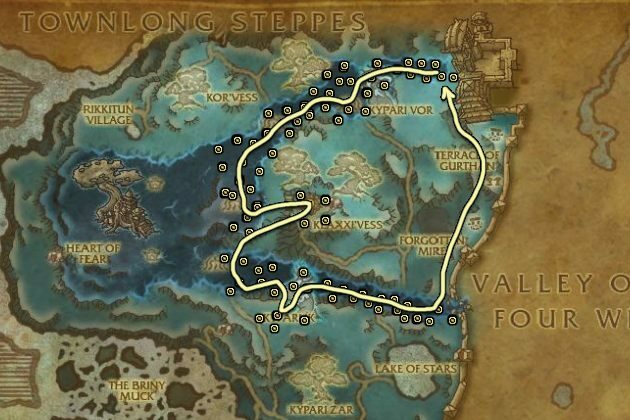 Valley of the Four Winds is the best place to level Mining, but it's often farmed by a lot of players. 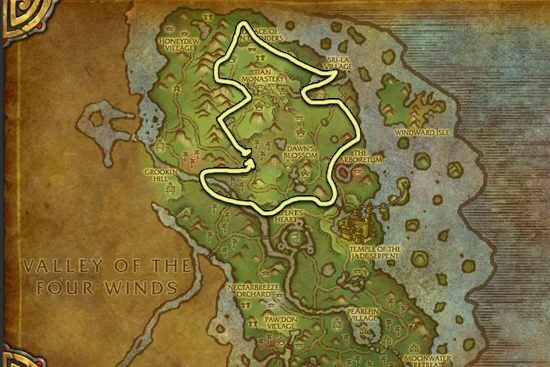 Jade Forest is also a great place to farm. You should reach 75 just by doing one lap in each of these zones.